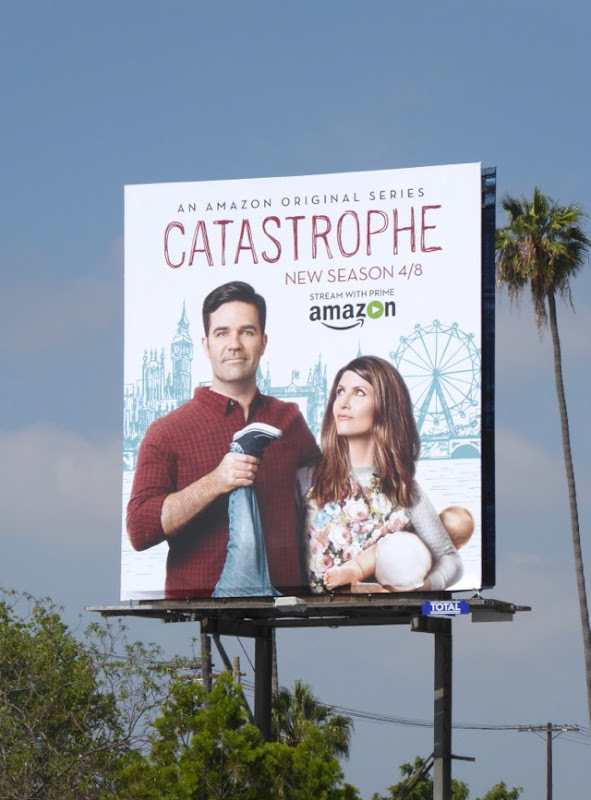 In the first season of Amazon's comedy Catastrophe (originally aired on Britain's Channel 4), Rob Delaney's American guy got Sharon Horgan's Irish school teacher unexpectedly pregnant after hooking up on a business trip to London. The sophomore season takes a time jump and finds the central couple three years and two kids into life as a married couple, trying to keep their love alive whilst dealing with parenting, co-workers, dysfunctional friends and crazy relatives (like Carrie Fisher as Rob's mother). 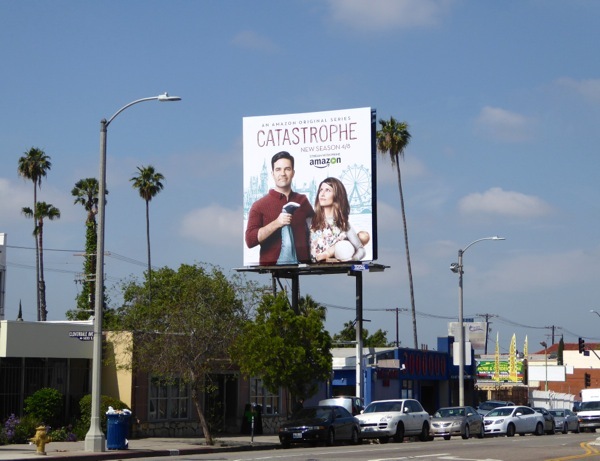 These second season billboards for Catastrophe, snapped along Pico Boulevard and Olympic Boulevard on April 13, 2016, certainly show of the couple's unique parenting skills and the London skyline in the background hints at where the show is set. If you're wondering about the show's title, it's apparently based on a quote from the 1964 film Zorba the Greek - "I'm a man, so I married. Wife, children, house, everything. 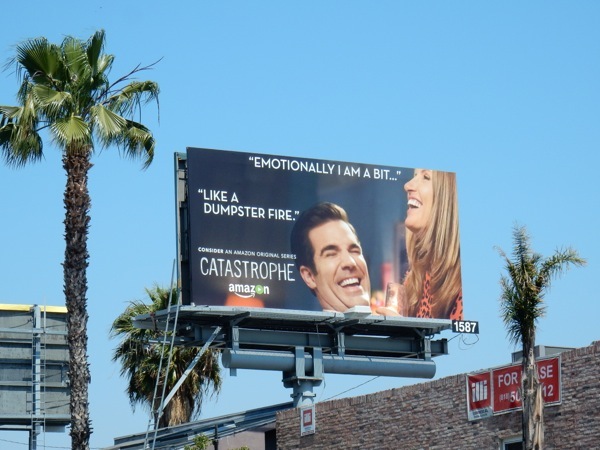 The full catastrophe". Doesn't sound that catastrophic does it. 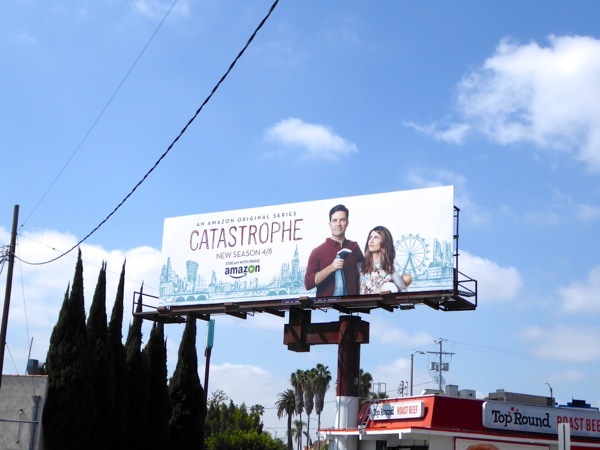 UPDATED: Here's another season two billboard for the comedy spotted along Highland Avenue in the heart of Hollywood on May 1, 2016. 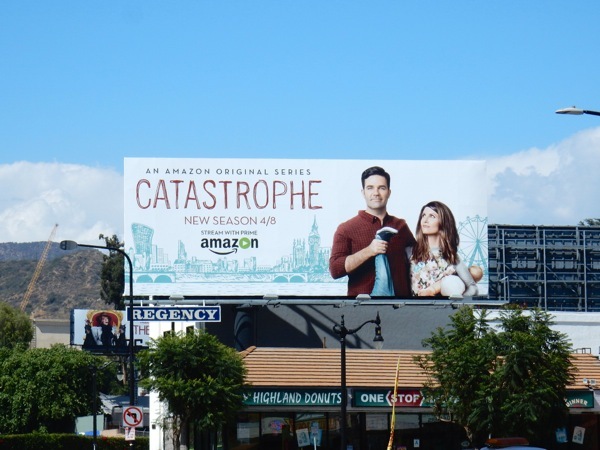 UPDATED: In addition here's also a fun billboard as part of Amazon's Emmy consideration campaign, snapped along the Sunset Strip on May 26, 2016. 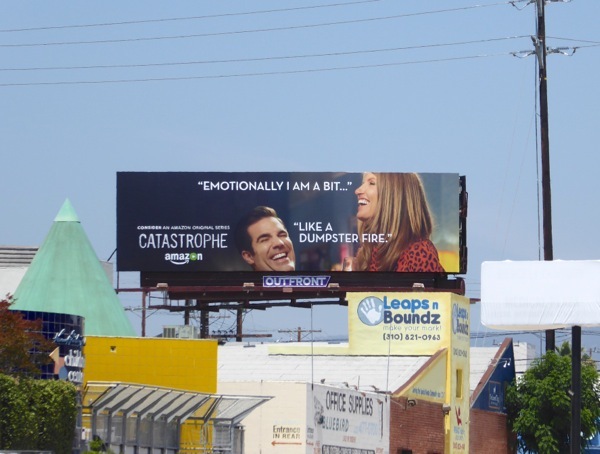 Sometimes Daily Billboard is also emotionally "like a dumpster on fire", so we can empathize. 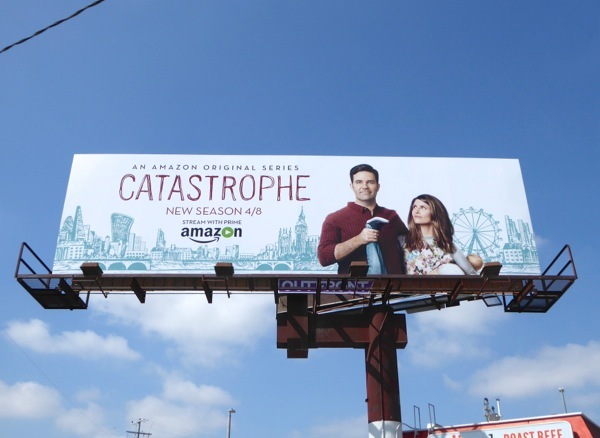 Plus here's also a larger landscape billboard spotted in West L.A. along Sepulveda Boulevard on June 2, 2016.